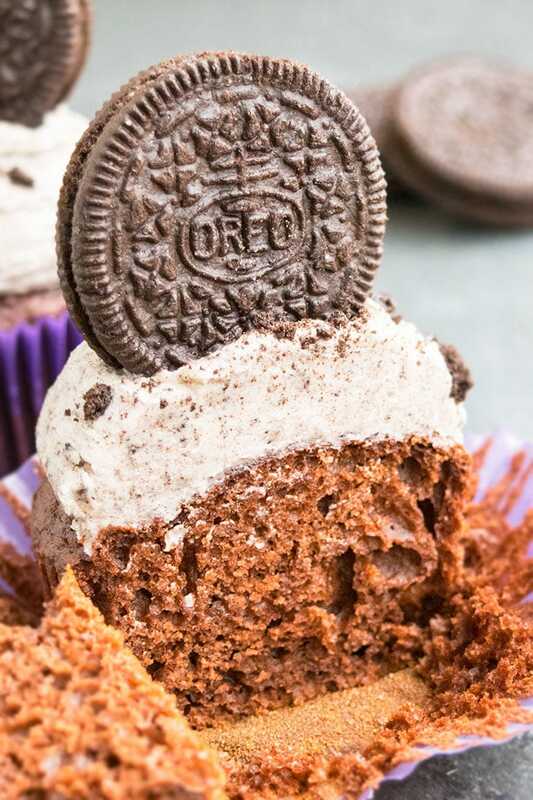 Quick, easy Oreo cupcakes recipe (cookies and cream cupcakes) with Oreo buttercream frosting. Soft, moist, requires simple ingredients & chocolate cake mix. If you love Oreos and chocolate as much as me, you will fall in love with today’s recipe. These cupcakes are great as a dessert or snack and perfect for birthday parties. Kids are crazy about them and we never have leftovers. All ingredients must be at room temperature to allow all everything to blend together smoothly and evenly. You can either use Devil’s Food cake mix or chocolate cake mix. They both yield very good results. Make sure Oreo cookies are finely crumbled because no one likes little chunks in cupcakes. 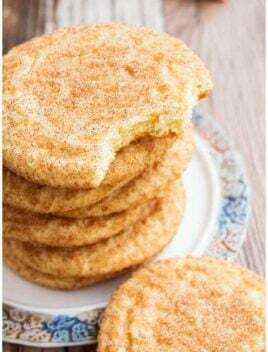 I have tested this recipe with the following brands and they all yielded great results: Pillsbury, Betty Crocker, Duncan Hines. Don’t replace oil with butter because butter will make these cupcakes very dense. You must use the dry pudding mix, not the prepared Snack Pack pudding cups. Unfrosted cupcakes can be frozen in sealed freezer bags for up to 1 month. Let them thaw in fridge or room temperature and then, frost them. You can either buy finely crumbled Oreos in a food processor or buy a box of Oreo crumbs. Use full fat sour cream in cupcakes because it makes them very rich, soft and moist. 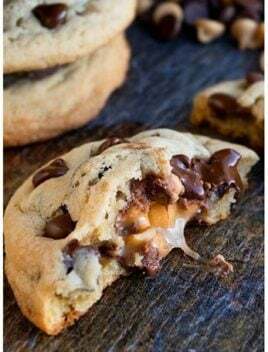 Mini chocolate chips are optional but add an extra boost of chocolate flavor. 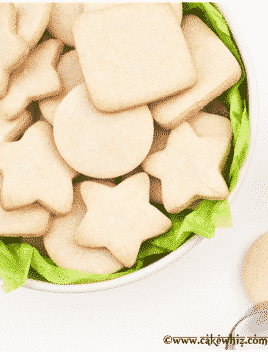 However, be sure to use mini chocolate chips instead of regular sized ones to prevent them from sinking to the bottom of the liners during baking. Allow the cupcakes to cool down completely before frosting them, in order to prevent the frosting from melting and making a sticky mess. If the frosting is too thick, thin it out by mixing in a little more milk or heavy cream. If the frosting is too thin, thicken it out by mixing in a little more powdered sugar. You must use a combination of butter and shortening for the frosting because that makes it more stable, especially in warm weather. Use unsalted butter in frosting to prevent it from becoming too salty. 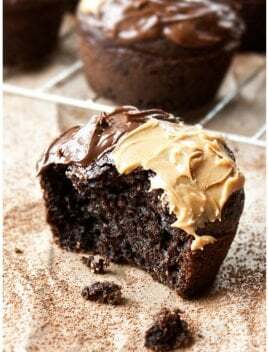 After cupcakes have baked, you can fill the cupcakes with frosting by using a filling nozzle OR hollowing out the center of the cupcakes and filling it and then, frosting the top with a swirl. Instead of cookies and cream frosting, you can frost them with American Buttercream Frosting. Replace the Oreo frosting with this Cream Cheese Frosting but be sure to mix in 3/4 cup crushed Oreos. Add a little more milk or water to get the desired consistency of the frosting. Fill the cupcakes with this frosting and also pipe a swirl on top. 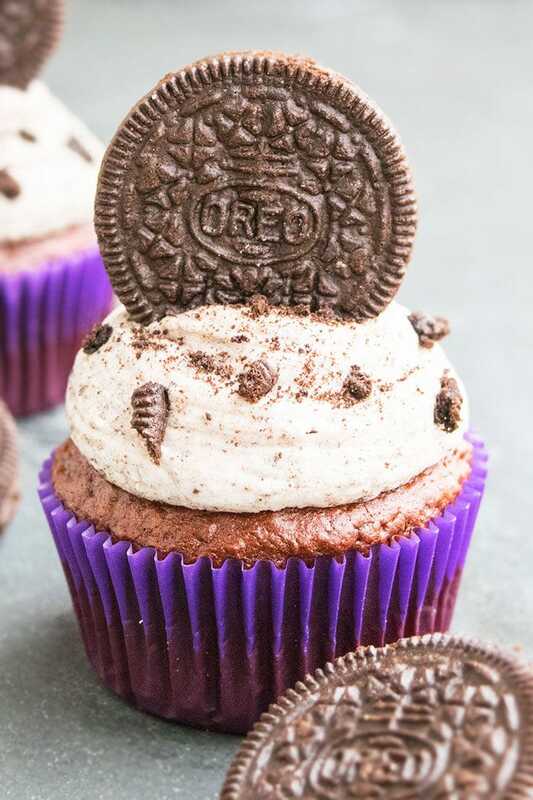 Place an Oreo cookie at the bottom of the cupcake liner. Then, pour the batter on top and then, bake. Perfect for chocolate and Oreo lovers! 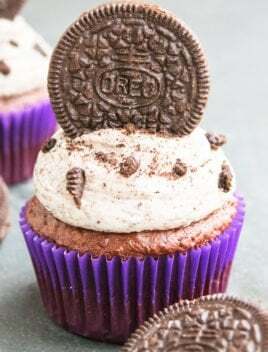 Quick and easy Oreo cupcakes recipe with Oreo buttercream frosting, made with simple ingredients. 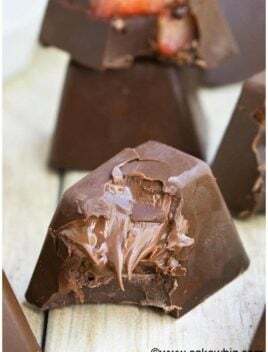 Soft and moist and starts off with a chocolate cake mix. In a large mixing bowl, whisk together cake mix, pudding mix and crumbled Oreos. Add eggs, oil, warm water, sour cream and mix until just combined. Stir in chocolate chips (optional). Pour batter in cupcake liners. Bake at 350 degrees for about 20 minutes or until an inserted toothpick in the center comes out clean. Allow the cupcakes to cool down completely. While they are cooling, prepare the frosting: Cream together butter and shortening. Gradually, add sugar (1 cup at a time), along with the heavy cream, while constantly mixing until smooth and creamy. Mix in finely crumbled Oreos until smooth. 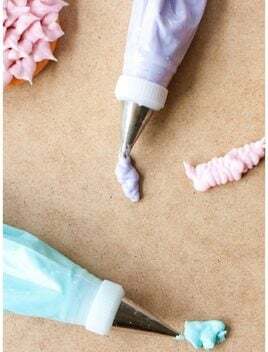 Fill a piping bag with frosting and attach the filling nozzle and fill each cupcake. For decoration, sprinkle some Oreo cookie crumbs and stick an Oreo on top. Enjoy! Now I am craving cupcakes! These look delicious!